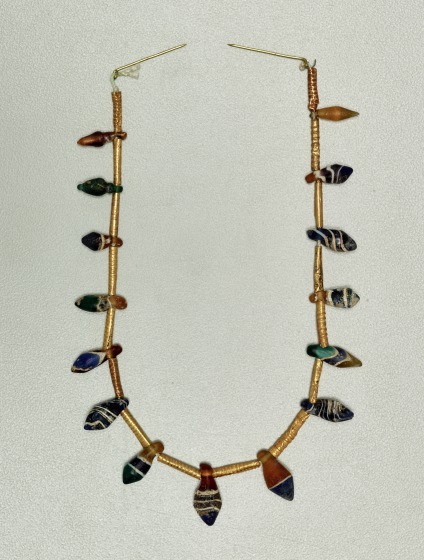 Very little Archaic Greek jewelry has survived from antiquity, although the large variety of diadems, earrings, necklaces, and bracelets in vase painting and on sculpture leaves no doubt that such ornaments were extremely popular in 6th and 5th century BCE Greece. This necklace is composed of cylindrical tubes, made from ribbed sheet gold, and drop-shaped pendants in pasta vitrea (glass paste). The blue, brown, green, and white layers of the glass imitate banded agate. 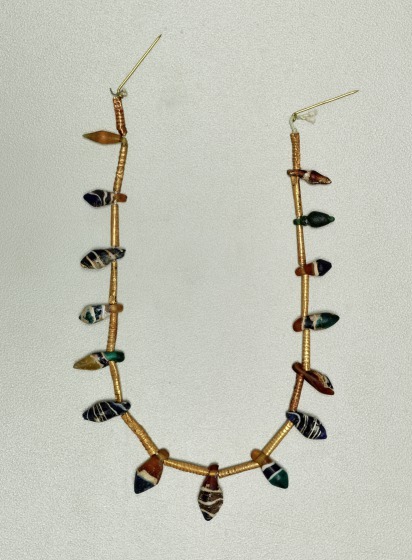 The glass beads and pendants of necklaces like these, made to imitate banded agate, seem to date to the Archaic period, although such simple forms were produced for many centuries and are hard to date accurately. 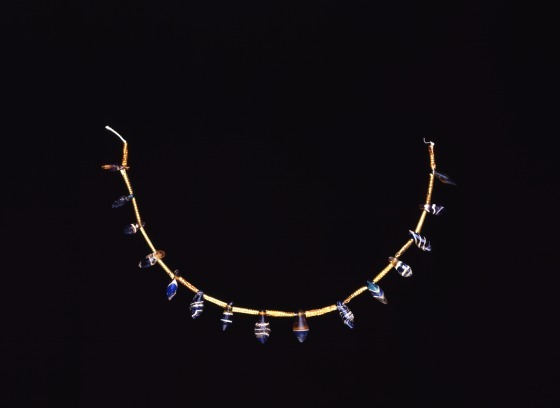 Barbara Deppert-Lippitz, Ancient Gold Jewelry at the Dallas Museum of Art (Dallas: Dallas Museum of Art in association with the University of Washington Press, 1996), 61; 136. 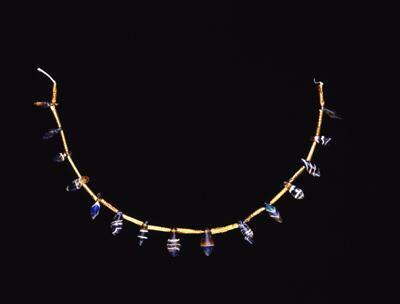 Composed necklaces are typical for the Archaic period in Greece. Because they were usually strung on perishable strings, the proper arrangement of the different elements of necklaces is often uncertain.